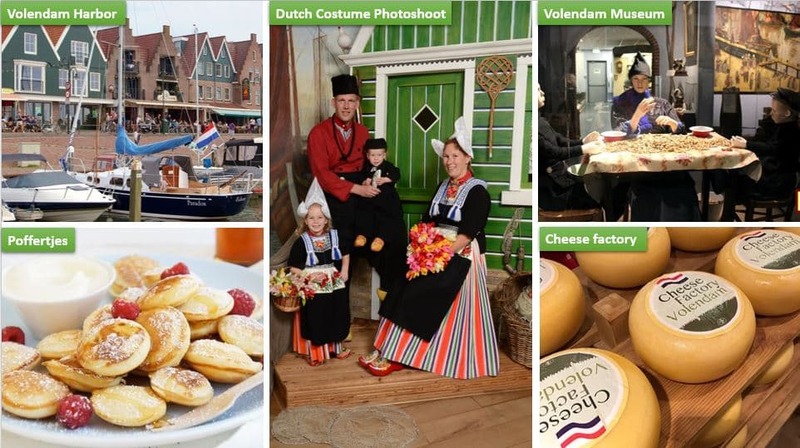 Over the last few weeks in the Netherlands, we have been constantly hearing news and celebrations, on “100 Jaar Zuiderzeewet”, “Zuiderzeewerken”, “Cornelis Lely”, “Afsluitdijk”, …etc. What are they actually? Why the whole country, especially the people of Amsterdam, North Holland, and Flevoland provinces celebrate it so grand? A Dutch colleague of mine gave me this book – Polderkoorts (translated to "Polder Fever") which answered all those questions. Polderkoorts takes us to an interesting history of Dutch’s tireless war against the sea waters. It’s a Dutch book; I don’t expect you read it. However, I thought it's worth sharing the summary of such an inspirational story with all of you. 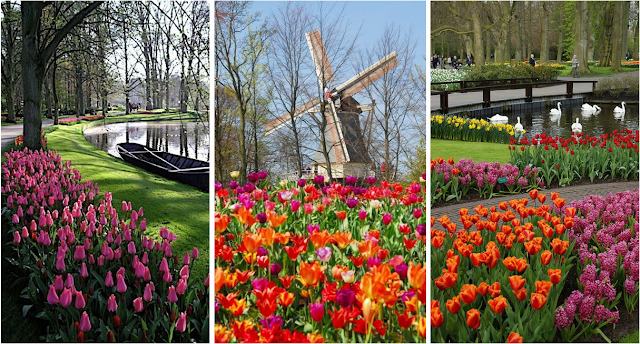 The Netherlands (literally means "low land") was always vulnerable to flooding in the past. It got worse between the 8th and 13th centuries, since these floods slowly connected all smaller lakes within the country with the “Northern Sea” (Wadden Sea), thus created a huge water body - called “Zuiderzee” or The Southern Sea. This Zuiderzee made the Netherlands defenceless to floods - more than ever! Over centuries (14th to 18th) the water from the Zuiderzee periodically swept-in and flood the north region, destroying thousands of people, cattle, and crops. Here comes the hero - Cornelis Lely (born in 1854). Besides being a Civil Engineer, Politician, and Statesman, Lely was also one of the greatest visionaries – who devises a plan to construct a dam across the Zuiderzee; but there was not enough support nor budget allocation from the government 😒. In the meantime, The World War - I started in 1914. Though the Dutch played neutral, all their neighbours were at war. This meant scare of food and drinking water supplies to the Netherlands. Being a small country with large population, The Netherlands desperately needed fertile land to keep its growing population fed., in addition to the existing plans to tame the Zuiderzee. 100 years ago, on the 14th June 1918, the parliament re-looked at Cornelis Lely’s plan and passes the "Zuiderzee Act" with 3 clear goals. 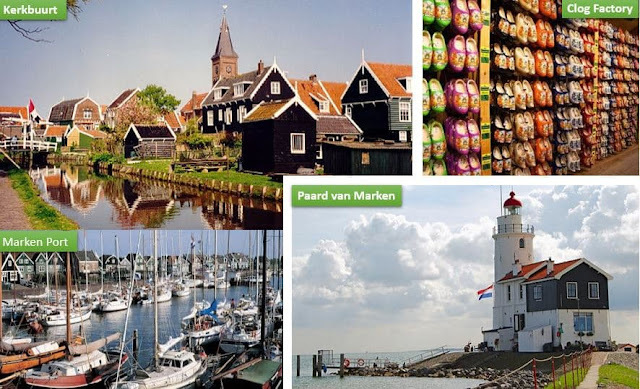 The project was named as “Zuiderzee Works”. This resulted in the construction of “Afsluitdijk” - the largest dam in Europe. This huge dam across the sea has never broken in the last 85 years and saved huge damages withstand across the seas. This made a new province - "Flevoland", which comprises of Lelystad (named after Cornelis Lely), Almere, and Noordoostpolder. Another polder “Markerwaard “is on hold/yet to be completed. 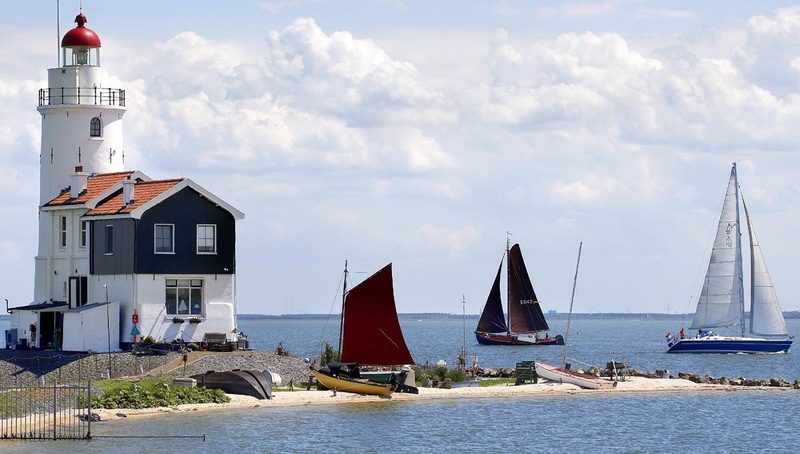 After damming off the north sea, all the salt was pumped out and water inlet was transformed into a freshwater lake, called the IJsselmeer (IJssel Lake), one of the largest freshwater reservoirs in the world. Check out the video below that I compiled using the bits & pieces of clips/pictures from the Rijkswaterstaat (The Dutch Ministry of Infrastructure and the Environment). Hope you'll like it! This Zuiderzee law/project is one of the main reasons, why the Netherlands is World leader in the Hydraulic Engineering and Water Management, and why they are one of the rich countries of Europe and the 2nd largest food supplier of the world. Does anyone need a better reason to celebrate its centenary year😇? 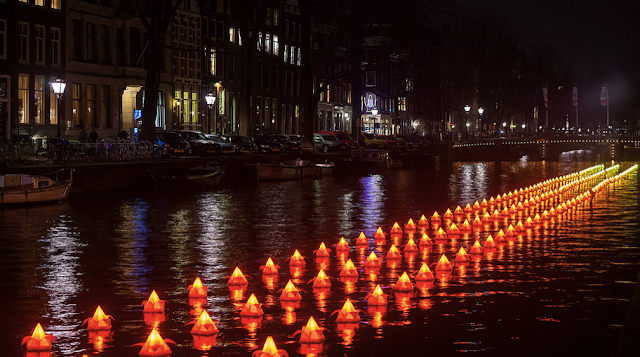 For the sixth year in a row, dark winter evenings of Amsterdam are getting bright and beautiful by colorful lights all the way. 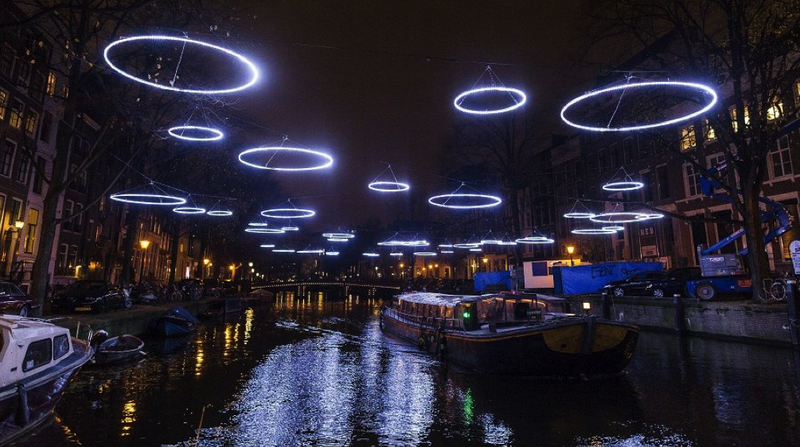 From tonight, 30th November until 21st January 2018, all the Dutch as well leading International artists are illuminating the Amsterdam City Centre for 53 consecutive days – both on land & water. My colleagues told me that a few years ago, the Amsterdam Light Festival commenced as a small boat parade / Christmas Canal Parade. 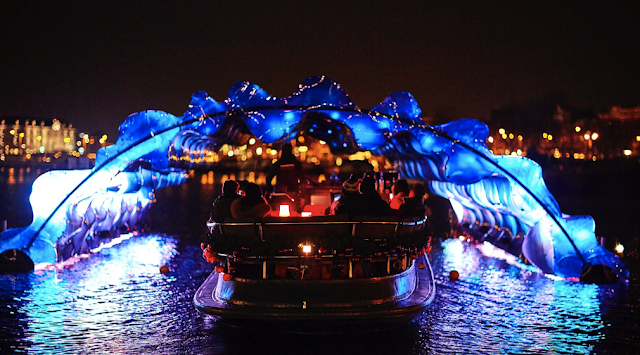 Under the strong patronage of Amsterdam’s recently deceased mayor, Eberhard van der Laan, the festival has grown into so magnificent & outstanding, appealing nearly a million visitors last year – 2016! Continuing the success last year, there were 1800 people from all over the world showed interest to present their work this year, out of which only 900 international talents shortlisted for the proposal stage. From those 900 concepts, now that only 35 artworks have been finalised. At Marineterrein, within a walking distance from the Amsterdam Central Station, a huge exhibition on land has been set up with 15 unique artworks. 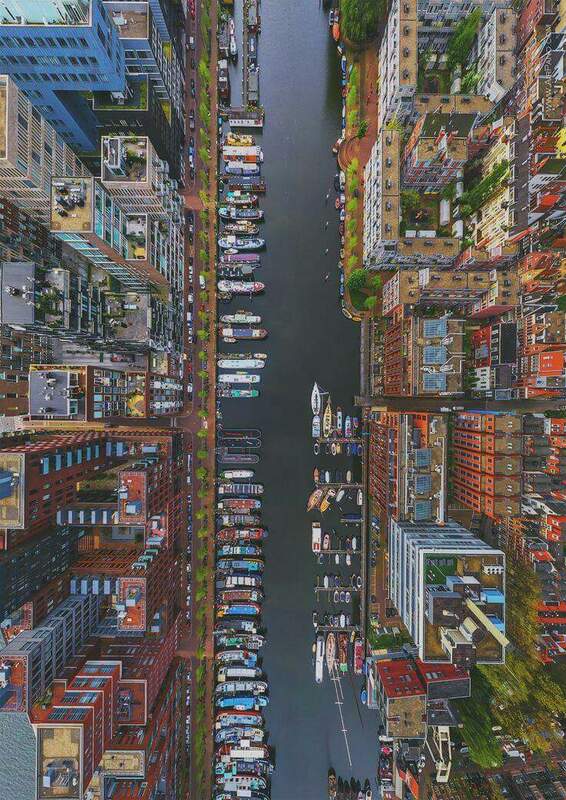 The twenty other wonders make the beautiful canals of Amsterdam even more beautiful. The most famous participant this year is the Chinese artist “Ai Weiwei”. 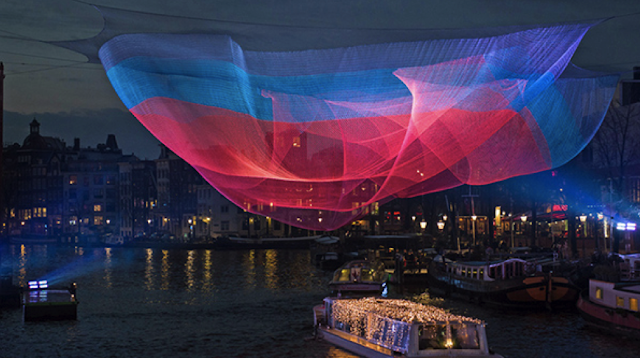 He laid a 6.5 km long border line of glass fiber, through which red laser light is shot through. There are many walk & boat tour operators, arranging numerous exciting events all through the 53 days. As always, Amsterdam is best seen from the water; you can choose any of the Water Colors canal cruises. 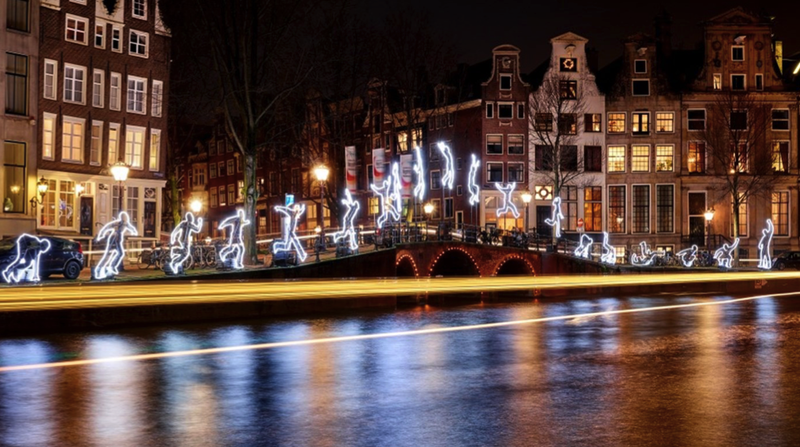 To explore the festival on foot, don't miss the Illuminade walking route. 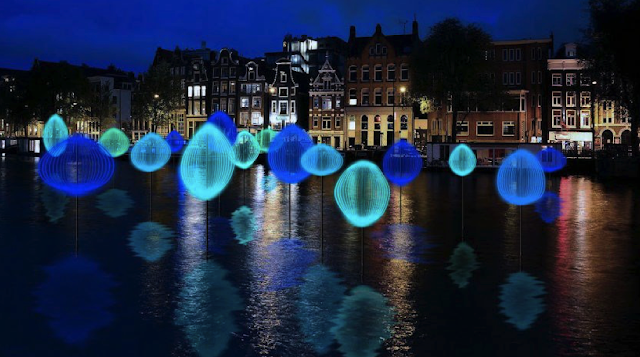 Amsterdam Light Festival takes place on land and water. Please note the differences in opening dates and opening times for both exhibitions. Location: Marineterrein Amsterdam, near Amsterdam Central Station. Hope I have captured some of the gorgeous take-offs and landings perfectly! Amsterdam's International Airport - Schiphol, is one of the largest, busiest and beautiful airports in Europe. But you have another very interesting reason to visit - It is also one of the "plane spotter" friendliest airports. Unlike the most of airports around the world, Amsterdam encourages plane spotting. Amsterdam doesn’t believe in barriers, so you can photograph the planes take off and land - with no obstruction. It features a huge panoramic viewing terrace on the terminal building, and two special spotter places, just outside the airport's perimeter. People come from all over Europe for Schiphol’s famous views. In the summer months, you can see many enthusiasts staying-up for the whole day on the grass by the side of a runway. 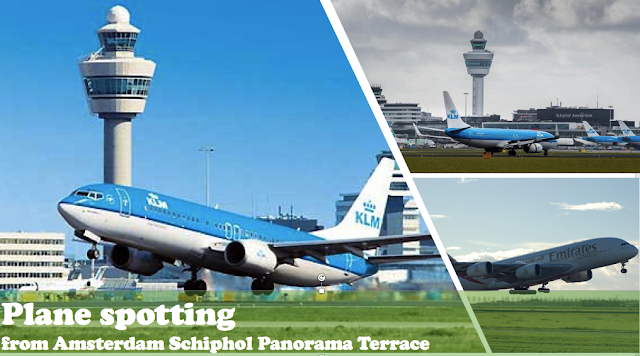 If you’re on a connecting flight through Amsterdam or cannot go outside the airport, then this panoramic terrace is the perfect place to go plane-spotting. I had an hour at Schiphol while I was there to send-off someone. So without a second thought, I just jumped into the Panorama Terrace. From the Panorama Terrace, I could enjoy great views of at-least 3 operational runways from here. From Airbuses to rare Boeings, from passenger planes to gigantic Cargos, from plain aluminum to multi-color aircraft, It's truly enjoyed a variety of aircraft taking off and landing here. 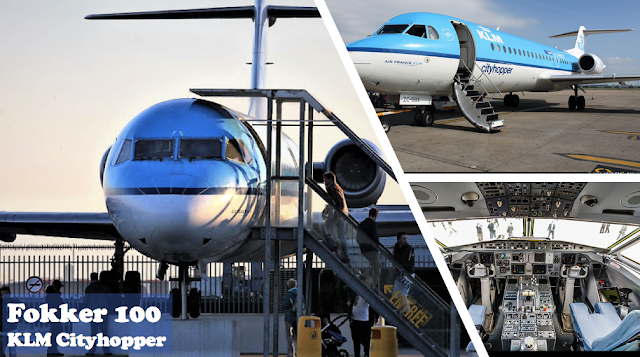 A unique surprise here is definitely the real Fokker 100 KLM Cityhopper plane, which is on public display. It gets us an exclusive insight into the cockpit electronics/controls, can listen to the instructions from the control tower, and a real view of a pilot. It's a bit difficult task to find the place; you know it well, Amsterdam Schiphol is one of the busiest airports. But if you follow the signs properly, you'll reach without any issues. Just follow the signs for the "Departures 1 or 2" first; then look for the "Panorama Terrace'". It is located on the arrival gate-2. Behind the rows of shops and cafes at the northern end, you’ll see a staircase and sign for the terrace. You can't get better, entrance to the panorama terrace, as well as to the other two spotting locations are completely FREE. You should take care of the timings since the opening times of the summer is not the same during winter months. Please note down the opening times as below. During summer, the Panorama Terrace is open from 07:00-21:00 from the last Sunday in March. From 1 October to the last Saturday in October the Panorama Terrace is open from 08:00-19:00. During winter, the Panorama Terrace is open from 09:00-17:00 from the last Sunday in October. For safety reasons, the Panorama Terrace will be closed during bad weather, like storms, snow, and ice. If you got a couple of hours on a sunny day or while transiting, don’t fail to walk-in to the panorama terrace, you won’t be disappointed!. The trains here, have silent coaches #Stiltecoupe with the “Stilte/Silence” logos. In these coaches everyone is supposed to be silent. No phone calls, no chats inside these coaches! I was on such a stiltecoupe last evening, reading a book and enjoying a quiet travel – till that cute little girl and her father got-in. They seem to be Britons, touring Holland; the girl was full of energy and excitement, she got into the coach skipping and screaming (same as my daughter; P), and they both took a seat adjacent to me. Little Girl: Pappa, Pappa … Papppaaaa…. Father: sshhh… we’re in a silent coach baby, we need to speak with inner voice, you can’t speak louder! I just forgot how to speak with my inner voice :) .. What should I do now !!! 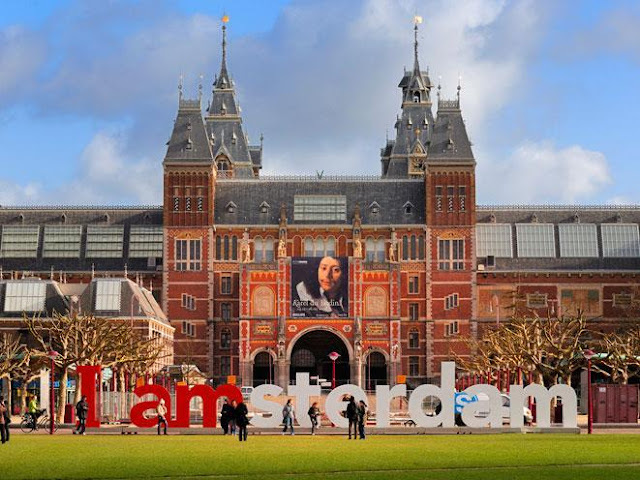 Like every other European City, Amsterdam too has many museums. Heard that at least 75 of them are still very active and attracting 1000’s of visitors everyday! . Anne Frank House, Science Museum, Rijk Museum and Van Gogh museum are a few that we could see, well just from outside ;P . There was no time to get into all the museums in a single day. Madame Tussads itself took half of our day. After Madame Tussads and lunch, we planned to go to the Anne Frank House. From the day we came to know about the book “The Diary of a Young Girl” (Anne Frank ‘s biography), we always wanted to visit the Anne Frank House; but there was already a mile lengthy queue and we realized that we could never make it happen. 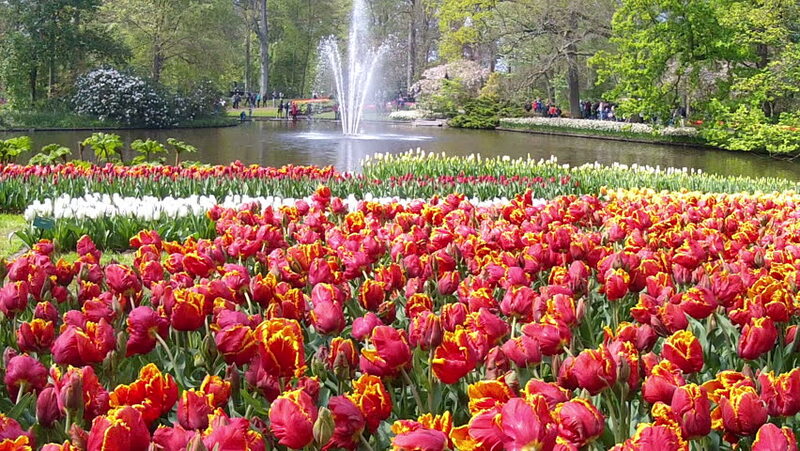 If I come back again to Amasterdam , am sure to see this place. During World War II, Anne Frank hid from German soldiers with her family in this canal side house. Anne Frank couldn’t not survive and captured by the Nazi troops from this house, but in 1947 when her father published her wartime diary , the world came to know about Anna and her families struggles against the Nazi. After that this house started attracting so many visitors from all over the world, and become a museum later. It’s the National Museum of Holland., is located at the Museum Square in the Amsterdam South, close to the Van Gogh Museum. Well, it was our second of three museums scheduled for that one day; and we’re almost at the closing time of the museum. So we did not go inside, but had a good time outside the museum gardens. The gardens at the rear side of the museum was so beautiful and are ideal for a relaxing picnic. We were eager to get to the Van Gogh Museum nearby…But unlucky againJ, the Van Gogh museum was under construction, but some of his painting samples were kept outside for public. Last of all, we saw the “#IamAmsterdam” sign, a giant sign where each letter is the size of a person. 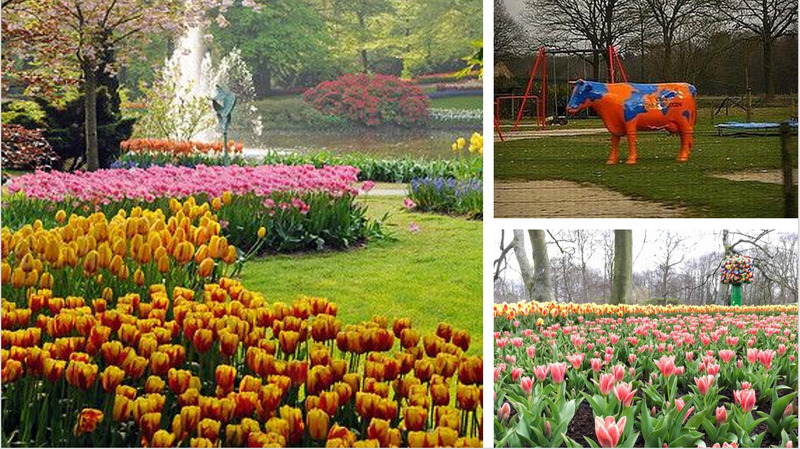 While this isn’t unique in and of itself, it led to us visiting Vondelpark as well, a park filled with locals, tourists, kids and adults enjoying playgrounds, jogging trails, and great weather! 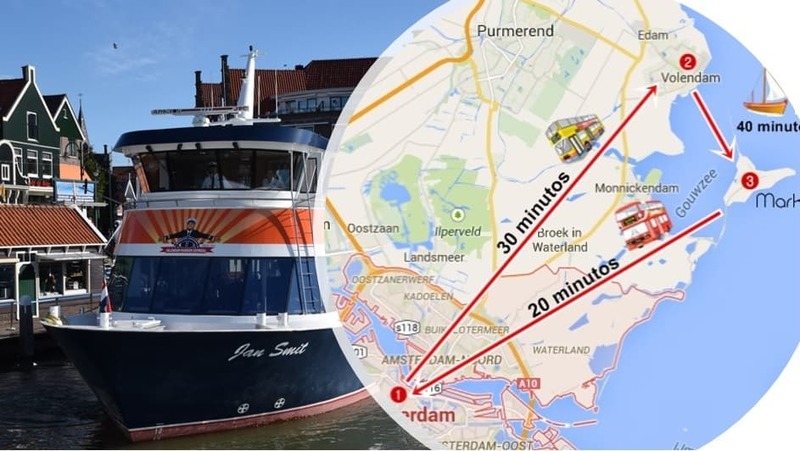 Between these two destinations we spent a good amount of time before we started back our boat trip back to the Amsterdam Central station. It was a very relaxing finish to a nice trip. Our first stop was at the #Madame Tussauds (which doesn’t need any introduction, right?). It was walkable from the Central Station, we reached in another 10minutes. Good that we had purchased the express entry tickets, so we could avoid the long queue and entered directly in to the museum. I’m not a big fan of any celebrity in particular, nor a fan of wax figures, so I can’t say Madame Tussauds is my favorite spot. But it was not disappointing or boring. The amount of work and dedication put into the making and maintaining the wax figures is really impressive !!!. We could meet many movie superstars, political leaders, sport heroes,.. and many global celebrities. Seems this particular Madame Tussads gives some special focus to their local culture, the first floor is full of Dutch royals, politicians, painters … and pop stars. I would have expected some more exhibits in the museum, however the existing ones itself gave good opportunity to enjoy and to be photographed. Ever thought that we would meet Barack Obama, Ronaldinho, Michael Jackson and Einstein in just half a day? :P . I liked the Charlie Chaplin exhibit as I could dance along with him and appear in a video with him whilst doing this. A bit pricey for the little time (2-3 hours max) we could spend there. If you've never been to any Madame Tussauds elsewhere, you can go ahead and visit this one, you may like it. 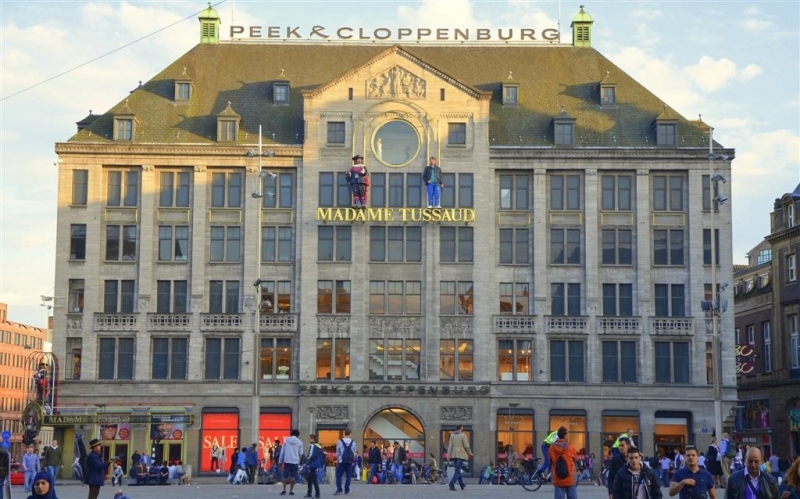 Now, a short history about the Madame Tussads Museums: Marie Tussaud was born in 1761 in Strasbourg, France. Her mother worked as a housekeeper for Dr. Philippe Curtius in Switzerland, who was a physician, skilled in wax modelling. Curtius taught Tussaud the art of wax modelling. By her 17 years, she mastered the art and during the French Revolution she modeled death masks for many prominent victims. They became very popular and her death masks were held up as revolutionary flags and paraded through the streets of Paris. Following the doctor's death in 1794, she inherited his vast collection of wax models and spent the next 33 years travelling around Europe. By 1835 Marie had settled down in Baker Street, London, and opened her first wax museum., which became the origin of all the today’s Madame Tussads all over the world.